All of the games in the service, including PS4 games, will be included with a single PS Now subscription. 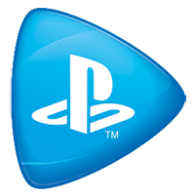 In the next few weeks, private testing of PS4 games via PlayStation Now will begin. If you are a existing subscriber, keep a look-out in your inbox in case you get an invitation. Just like the PS3 offerings, the PS4 games will make use of PlayStation Cloud to save your data, which means you can resume your game from PC to PS4, or vice versa. It’s a shame that PlayStation Now is dropping support for the PS Vita and PS3 – imaging being able to play PS4 games without owning the console!